SEDIMENT: Can we pardon Aldi's French? Can we pardon Aldi's French? Well, thanks to Sediment, people do now tell me about wines. “This is right up your aisle,” tweets @Simonnread. Unfortunately, it turns out he is referring to a new range of wines from Aldi. But off I trot to my nearest branch, unerringly guided by following the descent of planes on the Heathrow flight path. Perhaps the station in life for which I am destined is indeed Hounslow Central. Aldi's new Pardon My French range presents four French wines, each “cheekily” labelled with a kind of phonetic interpretation of their appelation. It’s what they call an “accessible” range, either because it only costs £4.99 a bottle, or because it clearly targets idiots. In fact it’s hard to decide who it insults more, the French and their language or the Aldi shopper and their intelligence. For example, the Minervois is called Men Are From Mars. Why? Have we really sunk to the level at which we make fun of the way words in other languages sound? And even if you say menarefromMars very very quickly, it hardly sounds like Minervois. In fact, it is actually harder to say. Ironically, as I struggle through the overcrowded aisles, I see that Aldi customers are already a linguistically sophisticated bunch. They must be, to distinguish between Shredded Wheat and, adjacent to it, Wheat Shreds. Between Nutella and the cheaper Nutoka. There is a range of instant stuffing called Quixo, which rings some kind of phonetic bell. Or is it only the French language with which the customers are supposed to be challenged? Because I see gnocchi, and chorizo Ibérico, and a pizza with schiacciata salami. If they can manage those, surely they can manage Fitou? But no; in the Pardon My French range, Fitou becomes Fit You. Of course, I think immediately of TS Eliot’s use in The Waste Land of the line from Kyd’s The Spanish Tragedy, “Why then Ile fit you”. Like many Aldi customers, I’m sure. Does calling a wine Fit You make it in any way more appealing, more “accessible”, than calling it Fitou? Or does it just sound like a sneeze? Their Ventoux is renamed Want To, an absurdity of a phrase. If you’re going down that route, why not call it Want Two, which at least makes some kind of sense, and suggests people might like it and desire more? But no; it’s Want To. 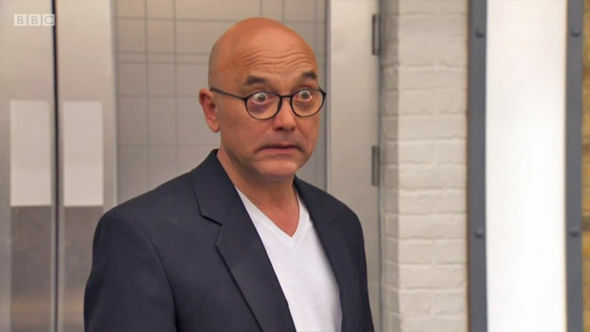 It doesn’t even begin with a V, a sound widely and easily pronounced in this country, as in the now-common phrase, “Gregg Wallace no longer feels the need to wear a shirt on Masterchef, and instead appears in his vest." And their Cotes de Gascogne is called Gastronomy. I suppose we should be grateful they didn’t simply rename it after Gazza. Having driven to Hounslow Aldi to get them, I felt some kind of duty to taste all four of these aberrations. That Cotes de Gascogne has an initial elderflower taste which evaporates immediately, leaving only a faint lemony tang and a claggy feel as it warms up. The Ventoux is acrid, cheek-puckering and bitter. After an initial aggressive blast, the Minervois is flabby and flavourless, like a diluted cordial. And the Fitou is oily, flat and feeble, and labouring under a bouquet of Elastoplast. They are all, as Aldi might say, Mayored. He went on to say that “we really believe these wines have a certain ‘je ne sais quoi.'" Which he presumably doesn’t expect his customers to understand. Or did he mean to say ‘Juno say choir’? Pardon My French? Sorry, no.